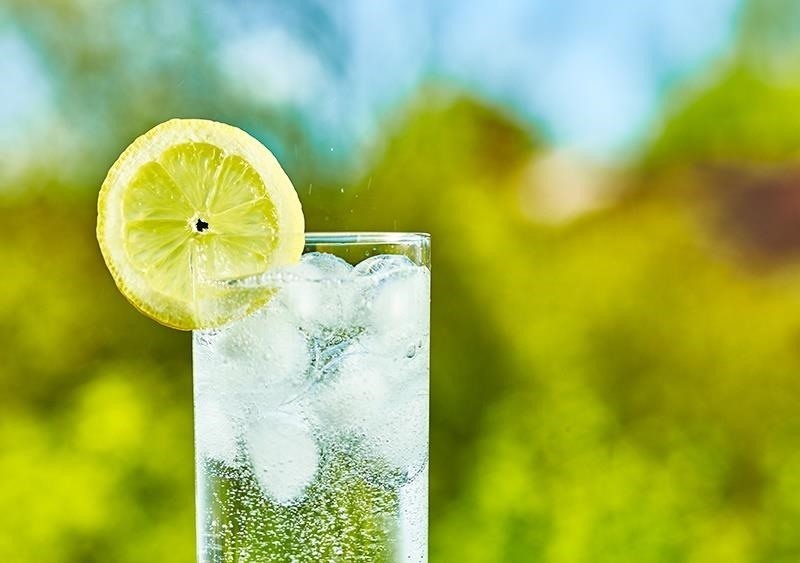 Tonic water, seltzer water, club soda, and mineral water: these 4 types of "bubbly water" are often, erroneously, used interchangeably. But the truth is that each possesses unique qualities and uses that set them apart from each other. Read on to discover what makes each type of water distinct and the best ways to utilize them. According to The Boston Globe (and other sources), tonic water is "…carbonated water… to which quinine has been added to give it a characteristically bitter taste [...]" As for why anyone would want to add bitter medicine to perfectly good soda water, you need to know a little more about the history of tonic water itself. Quinine, or "bark" in the Incan language, was originally created from the bark of the cinchona tree that is native to South America and has been used to treat malaria since the 17th century. 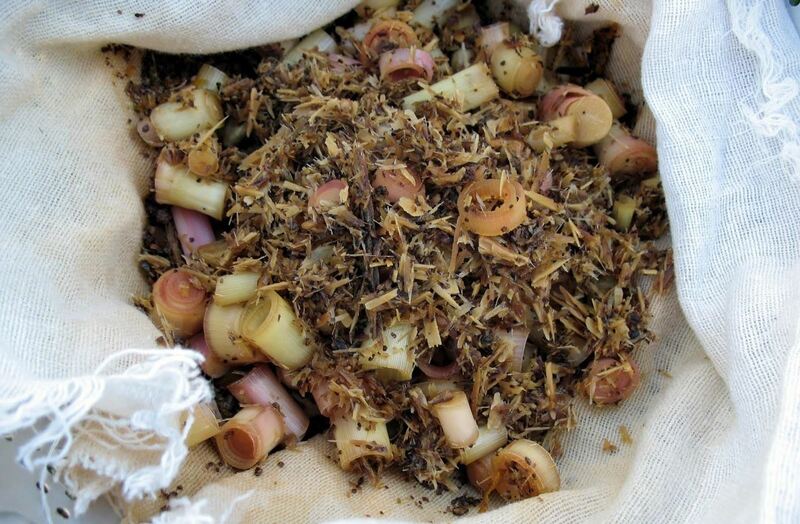 However, its taste was so bitter and unpalatable that the medicine, while very effective, was unpopular. British officials in the 19th century decided to add soda water in an attempt to make quinine easier to take—and lo, tonic water was born! 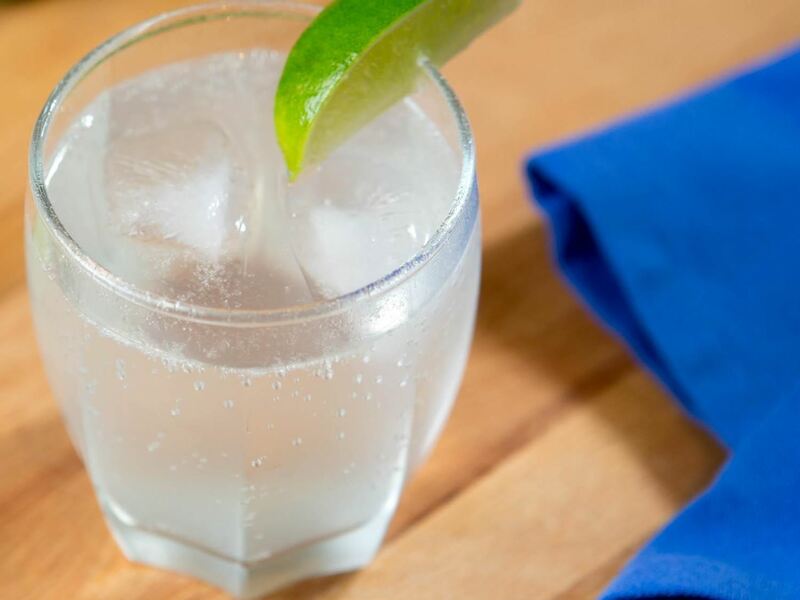 While tonic water is now readily available at your local grocery store, making tonic water at home (just like those intrepid British officials) is simple; David Lebovitz has a recipe for homemade tonic water that looks refreshing and delicious. Nowadays, tonic water is often paired with its alcoholic life partner—gin. (As we all know from both history and experience, alcohol is a time-tested way to make everything palatable.) A classic gin and tonic is made by mixing 1 part gin to 2 parts tonic water, then garnishing with a lime wedge. Fun tip: quinine glows in UV light, so if you're planning on having a blacklight party any time soon, you can make glowing drinks using tonic water! Seltzer water is simply artificially carbonated water. That's it—no added ingredients aside from the bubbles. The nose-tickling mixer/beverage got its start (and name) in the German town of Selters, which was known for its sparkling springs that supposedly had remarkable healing powers. The Huffington Post suggests seltzer as a cheap alternative to pricier, "designer" mineral waters, and Food Republic discusses at length the bottling variations and different bubble sizes (soda streams such as the SodaStream produce big bubbles; keg systems produce smaller bubbles) in seltzer water. 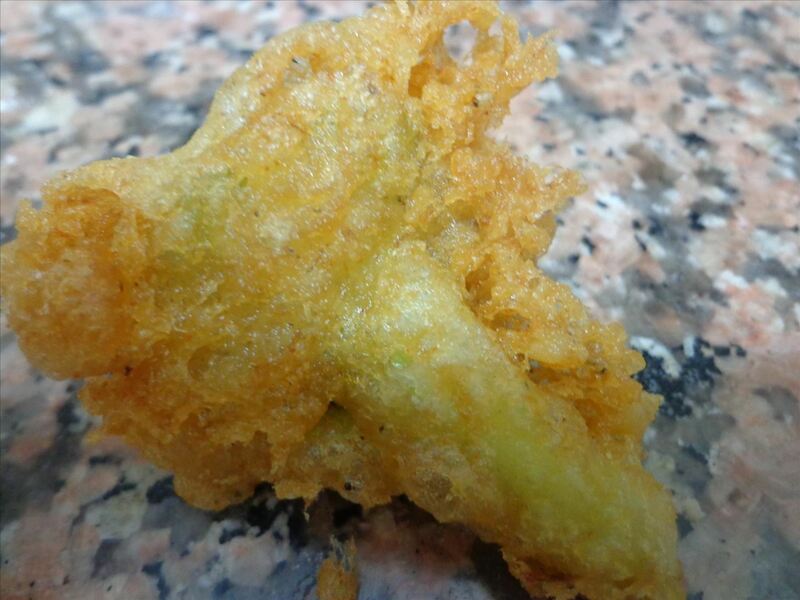 One of the best applications for seltzer water is to make tempura batter: when the carbon dioxide bubbles in the seltzer-ed batter hit the hot oil, they expand and create that wonderful light crispiness that makes tempura such a treat. 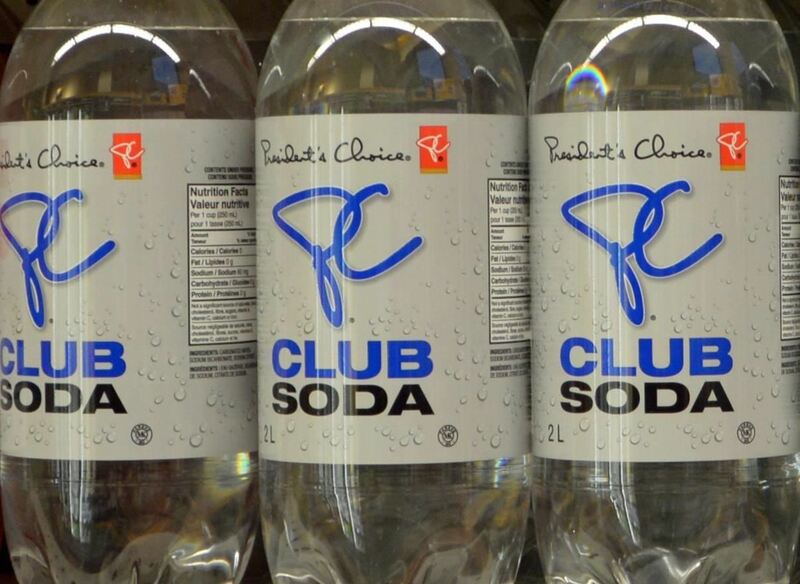 Most often mistaken and swapped out for seltzer water is club soda. The two bubbly beverages are remarkably similar, but the difference lies in the fact that club soda contains sodium salts and/or potassium salts. And, true to its added ingredients, some people claim that they can detect a slightly saltier flavor to club soda. 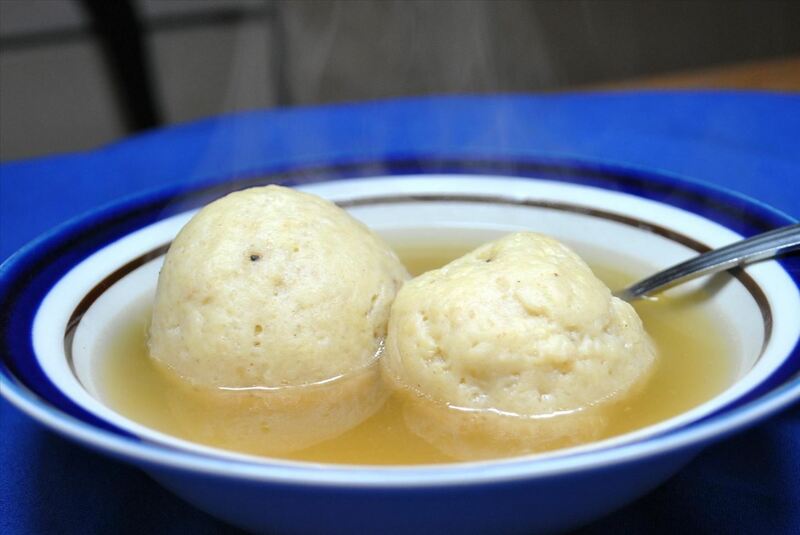 Like seltzer, it makes a wonderful addition to batters, and it is my family's secret ingredient for making our matzo balls extra fluffy. Of course, club soda really wins its stripes as that wonder remedy waiters rush to you when you spill red wine on your beautiful white blouse. Scientific American questions whether it actually works any better than just plain water, but as long as I get to wear my blouse outside of the house again—I'm on team Club Soda Stain Removal! 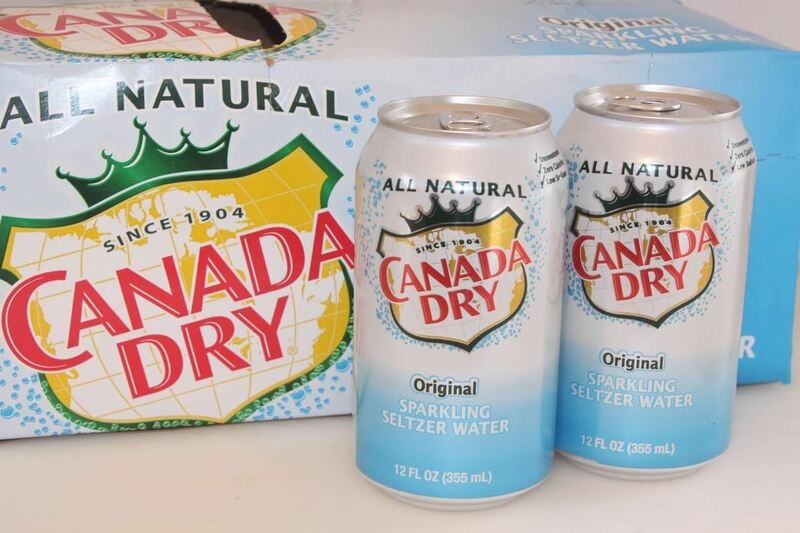 Think of this as the "natural" cousin to club soda, as it also contains minerals. Sparkling mineral water gets both its effervescence and minerals from the natural spring from which it emanates—in fact, according to the FDA, mineral water must contain "no less than 250 ppm total dissolved solids that originates from a geologically and physically protected underground water source." Mineral water, because of its salt content, tends to be more acidic; its pH often registers between 5.5 and 6. 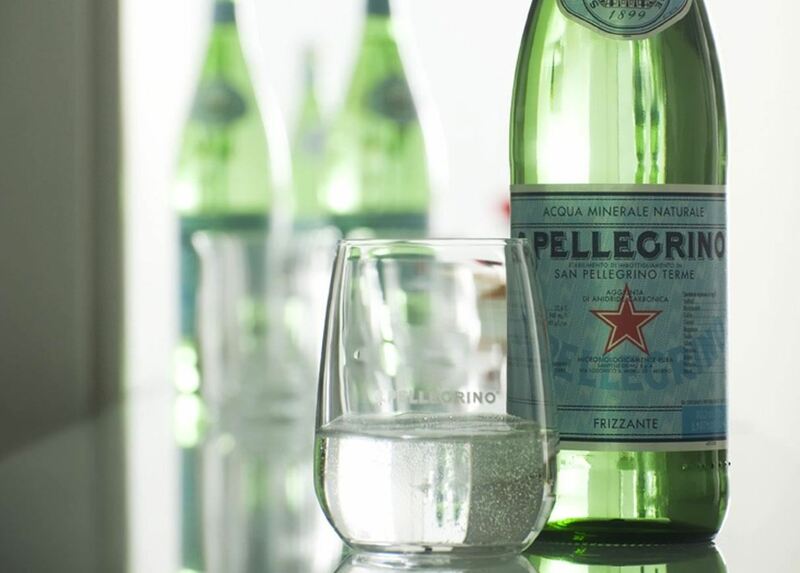 And while the carbonation is often added to mineral water during its plant treatments, the carbonation is often collected from natural sources (Perrier obtains the gas from the same spring as its mineral water, whereas San Pellegrino obtains their gas from "natural origin"). Mineral water is meant to be a drink unto itself; it is generally not used as a mixer and is best complemented by just a squeeze of citrus or a dash of cocktail bitters. Along with being refreshing, mineral water can be a great supplement to healthy living. A study at Montana State University in 2011 found that mineral water may have health benefits. Subjects that were exposed to mineral-based alkaline water were better hydrated and had higher pH levels. Additionally, the Nutrition Diva of Quick and Dirty Tips says that mineral water contains higher amounts of magnesium and calcium, which help regulate blood pressure and strengthen bones and teeth (respectively). 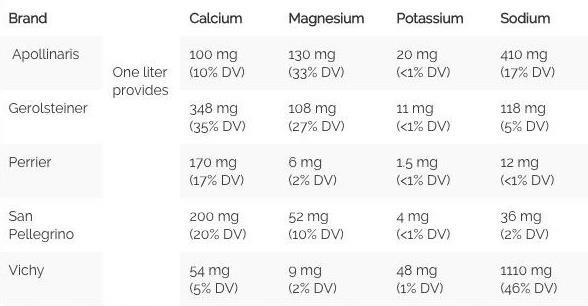 For more information, see the breakdown of mineral content for the most common mineral water brands below. The Mayo Clinic suggests that you should consume between 9 to 13 cups of water per day. They also acknowledge that the "8x8 rule" of drinking 8 8-oz. glasses is probably adequate, and it's a lot easier to remember. If the idea of just drinking straight-from-the-tap water bores you, try adding a little liquid variety to your regimen by mixing it up with these different types of bubbly waters. Whether you end the day with a refreshing gin and tonic, fry up some crispy tempura, whip up a batch of fluffy pancakes, or just sip a lemon-flavored mineral water, you can get your 64+ ounces of H2O in no time!